Pretty much everybody knows that excessive sugar intake is unhealthy. However, most of us eat it anyway. Many people claim that this is because they’re “addicted” to sugar and just can’t say no even in the face of its damaging affect on health. In recent decades it has become popular to blame sugar for many ailments, from obesity to more obscurely connected problems like insomnia, bad skin or mood disorders. People who believe they’re suffering from sugar issues are increasingly trying diets which focus on removing sugar entirely. From Atkins (one of the first elimination diets in recent memory) to Whole 30, the latest craze, people try these diets in the expectation that removing sugar will change their lives and health. 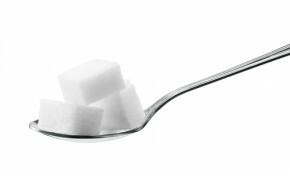 Many of these diets claim that because it’s so hard to escape from sugar’s addictive properties if any trace of it remains in the diet. Well, Dr. Nicole Avena at Mt. Sinai hospital in New York City is now offering some science to back up the claim of sugar’s addictive nature. She is claiming that sugar is a highly addictive substance, especially when it’s added as a hidden ingredient in foods that are not normally considered sugary. Based on this questionnaire, Dr. Avena was able to rate various foods and types of food on a scale of each one’s relative addictive quality. She was not surprised to discover that the foods with the highest addiction rating were those with fats, sugars and a high level of processing: pizza, chocolate, chips and cookies were the items with the highest rating. At the bottom of the scale were cucumbers, carrots, beans (without sauce) and apples. These results match with the observable fact that most people don’t “indulge” with vegetables. BUT CAN SUGAR ADDICTION REALLY BE COMPARED TO DRUG ADDICTION? This is a tough question. Dr. Avena has been campaigning for several years and several studies to figure out exactly how sugar influences our health. She has been on an ongoing campaign to provide hard facts about sugar rather than speculation or drawing conclusions based on circumstantial evidence. This study is the latest one in her quest to show what she believes, which is that sugar is very damaging to our health. HOWEVER, she has not actually made any definitive statement about the comparison between sugar addiction and cocaine. For now, there is definitely an element of sensationalist headlining going on when sites like ABC13 proclaim that sugar is “Eight Times More Addictive Than Cocaine”. By Dr. Avena’s own words in the report written on her study, the neurochemical changes caused by sugar are “smaller in magnitude than those produced by drug of abuse such as cocaine or morphine.” Perhaps in the future she will discover more concrete evidence that would support this claim, but for now it’s just speculation—something the role of sugar in dietary needs certainly doesn’t need any more of.